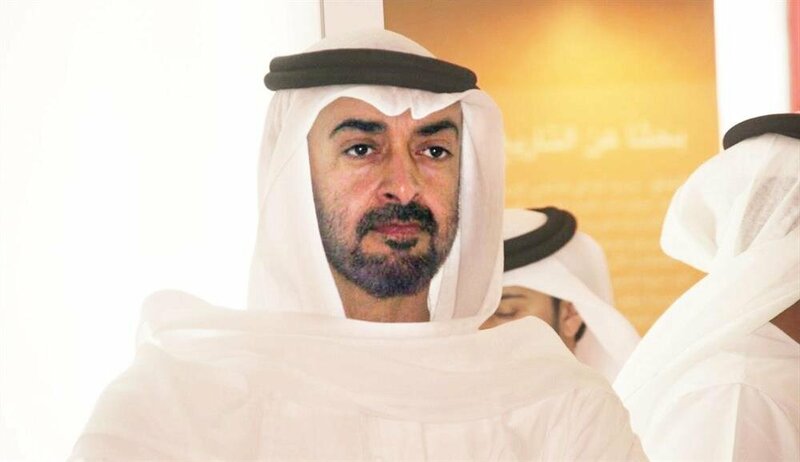 Reports emerged detailing UAE involvement in the most recent unrest in Tunisia as the North African country becomes the latest to be targeted by Emirati Crown Prince Mohammed bin Zayed al-Nahiyan, following past meddling in Syrian, Yemeni, Qatari affairs on behalf of the U.S.-Israel axis. It is been said that last week’s drone attack on a Russian air base in Syria’s Khmeimim has UAE fingerprints all over it. During President Erdoğan’s telephone conversation with his Russian counterpart on Friday, Putin noted that Russia “knows very well who’s behind the attack,” in reference to an attempt by the UAE to foil the Astana and Sochi agreements. Tunisia, the only country to successfully complete a democratic transition after the Arab Spring, is another country that is being targeted by UAE meddling, according to reports by French newspapers Le Monde and Le Parisien. 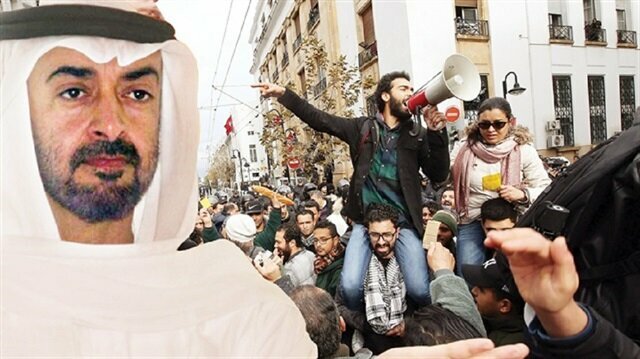 The UAE administration, which is “uncomfortable” with Tunisia’s Ennahda party being part of the coalition government, is said to be applying pressure aimed at the assassination of several of its party members. In a report published by the two French newspapers, it is said that the flight crisis instigated by the UAE administration was the first shot in what looks to become the first in a series of Emirati attempts at meddling in Tunisian affairs. In December, the UAE announced that Emirates airlines would stop accepting Dubai-bound female passengers from Tunisia, which Tunisian officials responded to by suspending all Emirates flights to and from the country. Over the past week, protests have erupted across Tunisia under the pretext of the “rising cost of living” amid reports of meddling by the Abu Dhabi administration in the most recent events, as the small Gulf nation has grown uncomfortable with Tunisia’s close ties with Ankara and Doha. UAE is the one of the countries whose help was elicited by the U.S.-Israel axis to revive their failing strategy in Syria following the Astana accord between Turkey, Iran and Russia. In a bid to foil the Sochi and Astana processes, the UAE is believed to be behind the most recent attack in Hama after several armed personnel carriers that belong to an Emirati company were spotted in the restive region. The United Arab Emirates’ Embassy in Turkey’s capital has a new address evoking Turkey’s Ottoman heritage in the Middle East, including its defense of Muslim holy sites.The embassy building has not moved, but the streets around it have been renamed, in the wake of a historical row between Turkey and the UAE.Under an Ankara Municipality decision, 613rd St. has been renamed Fahreddin Pasha Street - -- after the Ottoman governor of Medina, Saudi Arabia from 1916-1919 -- and 609th Ave. in front of the embassy was also renamed "Medine Müdafii" (Defender of Medina) Ave.The move comes after social media posts last month by Abdullah bin Zayed al-Nahyan, the UAE’s foreign minister, accusing Fahreddin Pasha of committing crimes against Medina’s population, including theft.The post drew the ire of Ankara, with Turkish President Recep Tayyip Erdoğan and his top aide Ibrahim Kalin slamming the allegations. "Where were your ancestors when our Fahreddin Pasha was defending Medina?" Erdogan asked last month.He added that the so-called “theft” was actually "protecting the holy relics of the Prophet Mohamed from [British] invaders." Last June, the UAE also incited a row with Qatar when several Gulf countries, including Saudi Arabia, Bahrain, along with Egypt severed all diplomatic ties with the small Gulf monarchy, leading to a full-fledged crisis, after blockade countries closed their air, land and sea traffic to Qatar. However, the plan to isolate Qatar failed when Turkey stepped in, launching a campaign to send aid to the Qataris. The UAE was also behind the failed July 15 coup attempt in Turkey after the Gulf country was revealed to have given the FETÖ terror organization $3 billion in aid. A high-ranking FETÖ delegation visited the UAE 22 times prior to the coup attempt. Immediately following the coup attempt, FETÖ ringleader Fetullah Gülen, who enjoys a close friendship with Mohammad Dahlan and receives financial support from the UAE made a statement through the Emirati-based Al-Ghad channel. In the statement, Gülen openly called for the need for UAE to intervene in Turkey, proving the ties that exist between FETÖ and Dahlan. FETÖ terrorists are led by U.S.-based Fetullah Gülen, who orchestrated Turkey's July 15 coup attempt and is the mastermind behind a long-running campaign to overthrow the state through the infiltration of Turkish institutions, particularly the military, police and judiciary. Details also emerged pointing to the UAE being behind the U.S. trial of goldtrader Reza Zarrab, after an Emirati-based company called Al-Nafees Exchange was revealed to have provided the U.S. with information and documents of its dealings with Zarrab. Qatar filed a complaint to the United Nations Security Council (UNSC) against the United Arab Emirates, citing airspace violation.According to Doha based Al Jazeera television on Friday, Qatar’s UN representation filed a complaint to the UNSC, saying a fighter jet belonging to UAE violated Qatar’s airspace.The complaint, Permanent Representative of the State of Qatar to the United Nations Alya Ahmed Al Thani handed to the UN Secretary General Antonio Guterres, emphasized that it was clearly against the authority of Qatar, border and land security, as well as international law.The complaint also noted that Qatar would take all necessary measures in accordance with international laws to protect its airspace, borders and national security.Turkey renames UAE Embassy streets in Ankara‘UAE, Saudi played role in assassination of Syrian opposition leaders’Separately, Qatar’s official QNA news agency reported that the airspace violation took place on Dec. 21, 2017.In early June, Saudi Arabia, the UAE, Egypt and Bahrain all abruptly severed diplomatic and trade ties with Qatar, accusing Doha of supporting terrorism.The four threatened to impose further sanctions on Doha if it failed to accept a long list of demands, including the closure of the Qatar-funded Al Jazeera television.Qatar denies the accusations, describing attempts to diplomatically isolate it as a violation of international law and its national sovereignty.